This page focuses on ‘Frequently Asked Questions’ (FAQ) about wine cooler and other wine refrigerators. From our previous internet research team ‘Nippy Wine’ has brought some information that might solve your so desired query. #1. What should be the ideal bottle quantity? #2. Shall I go for a single zone wine cooler or a dual zone? #3. Shall I buy a compressor cooling or Thermoelectric wine cooler? #4. How many types of wine cooler are there? #5. Can a free standing wine cellar fit as built-in under the counter? #6. What is the perfect temperature for wine? #7. How much it costs for a wine cellar? #8. What makes a wine cooler worst? #9. Who needs a wine chiller? #10. What Important features shall I go for a wine chiller? #11. What is the Term ‘Vintage? #12. What is Wine Body? #13.How many types of wine are there? #14. How many types of wine glass are there? #15. What is the difference between Wine and BEER? #16. What is Oak Ageing? #17. What is Wine Fault? Ideal bottle quantity depends on your need. If you are a regular consumer and shop regularly, anything that has 10-15 bottle capacity will be perfect. But again, if you are an ordinary consumer or collector (also you need wine for recipe pairing) you need something more significant than 45 bottles. However, one research provides evidence that – almost 90% US people often refer the 30 bottle capacity for their regular use. As you already know that red wine and white wine requires the different temperature to keep their original taste. 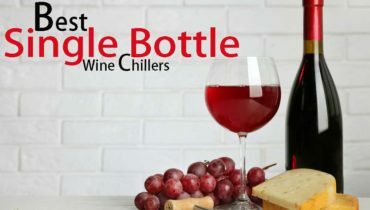 If you are a vintage wine collector or you need to have both red and white wines ready anytime, you should go for the dual zone chillers. Currently, the triple zone and quad-zone wine cellars are also available in the market which is a bit costly. Before we reach the bottom line, let us introduce you to the cooling systems. Compressor cooling was the most familiar technology which appears to be in the refrigerators. There is a cooling gel that cools inside environment with the help of gas delivered from the compressor. This version is cost-effective regarding operating costs. The thermoelectric cooling system works with ceramic. That is just the implication of natural science. When one part of the ceramic becomes hot, the other parts start cooling the inside. The thermoelectric cooler works excellent when it just the matter of wine chilling because the wine cellar is not used to used to preserve the wine forever. Instead, it is used to keep the wine at serving temperature so that service can be done anytime. Thermoelectric wine coolers do have some advantages. ✔ Available in various sturdy models. Architecturally wine coolers are three types. Over the counter, wine coolers are available in single zone comparably meager bottle quantity (say 15 to 35 bottles). The Freestanding Wine Coolers are just like a stand-alone refrigerator and also fits anywhere. The third type is Built-in Under counter wine coolers. This is probably the most expensive version we find in bars or the house of some vintage lovers. Never forget to read the checklist before buying the built-in under-counter wine cooler. Moreover, according to the cooling system, there are two types of wine chillers. Compressor cooling and thermoelectric. In our last faq, we have discussed the issue so far. Again from the point of zone (inside compartment) – there are four types of wine cellars. Also, there are single bottle wine chillers that work only for one bottle. Recently we have published a detailed review of those wine chillers for one bottle. check that out. Check whether your free-standing wine cooler has air ventilation from the front. Unless you can’t use it as under the counter. Why don’t you check some recent version – that can also be used as a free-standing or as the built-in under the counter version. If you are looking to buy an Over the counter wine cooler, it won’t cost you much. You can get the above versions within a range of USD 120 to 250. However, depending on your requirement, brand and some premium feature the price of a wine cooler might vary from USD 150 to 3,000. 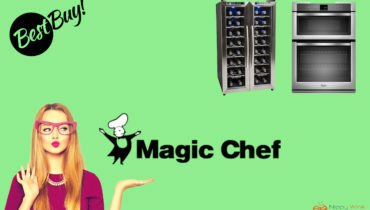 According to our independent assessment, Magic Chef wine cooler has scored well. Check the review article now. There are some points to look at. Primarily any wine cellar without adjustable shelves seems to be wrong because it limits you to keep an opened bottle there. Also, any particular piece that generates ice inside might be considered as dangerous. Our recent review of best wine cooler might help you in deciding a good product. Following person might need a wine cooler. ✔ The person who drinks regularly will surely need a wine cooler to keep his favorite bottles chilled. ✔ Anyone who loves to store and make a vast collection of vintage bottles will need a dual zone cooler. ✔ Anyone who loves to hide his drinks in his room. ✔ Parents who want to keep the bottle away from their toddlers might go for a cellar with a lockable door. The primary feature would be keeping the bottles at perfect serving temperature. However, depending on the situation and budget, you can go for some other premium features as well. ✔ Tinted UV protected glass helps to protect the wine bottles from ultraviolet ray. ✔ Lockable door helps to protect your vintage collections from unwanted people. ✔ 100% reversible door helps to convert the door path. ✔ Adjustable shelf allows you to adjust the inside space according to bottle size. 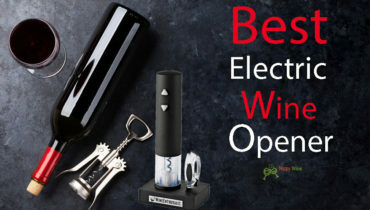 It also helps to keep an already opened bottle that cannot be maintained horizontally. The term ‘vintage’ closely relates to the wine aging. Vint stands for wine manufacturing and age represents time. So, a vintage wine stand comes after an extended period of its natural fermentation process. You can see whether the wine is vintage or non-vintage (NV) after reading the label. Non-vintage refers to a mixture of different wine variety which is comparably less expensive than vintage wine. Wine body refers to the volume of alcohol. The low body represents less amount of alcohol, and high body represents more than 13% of alcohol in it. You need to understand the three categories of wine body to perform excellent pairing. Otherwise, the taste will be unpleasant. Read our beginners wine guide to know more about it. Primarily there are Two types of wine (White and red). But, you may find category which is Red Wine. Our research concludes that there are 9 (NINE) types of wine depending on wine body and its pairing functionality. Primarily there are three types of a wine glass. Firstly, small bowl wine glass fits the white wine. Red wine deserves large bowl wine glass. If you illustrate, then there would be the third category which is SPECIALIZED wine glass for dessert wine and champaign. Again, the group of wine glasses become broad if you can identify the wine taste, the percentage of alcohol and tannins. Read the complete illustration of wine glass here. Wine is a fermented alcoholic beverage comes especially from grapes (other fruits can also be there). As the fruits of natural sugar, it turns into alcohol after performing the fermentation process. However, beer is an alcoholic beverage that comes from malted grain, brewers, rice, and corns. Oak is a tree that delivers quality wood. Winemakers use the oak container to age the wine. When the grape juice comes under the contact of oak, it’s aroma and colors start to increase. Such as if the white wine comes after oak aging, it will become slightly yellowish. On the other hand, red wine becomes dark red or somewhat black after oak aging. 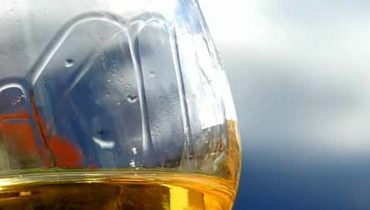 Wine becomes over oxidized when there is too much oxygen in it. This is true that wine starts sharing the aroma after having contact with oxygen but, too much oxygen can give you an unpleasant taste even a bitter taste. That’s why we swirl wine glass when having it for a long time. Swirling releases extra oxygen. Here are the details of Swirling techniques. Just a week ago, we have published a new research on wine decanter. You will find answers relating to plenty of common questions. We have just explored everything about a wine decanter carafe. 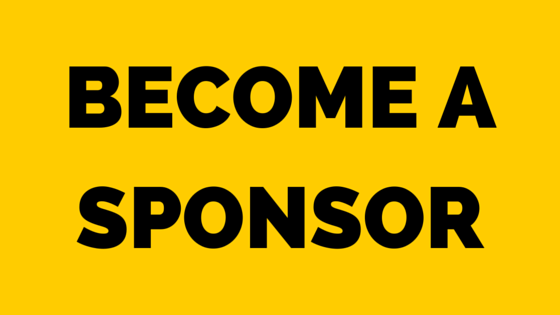 Click here to know the recent updates.